Fascinating North American woodland bulbs that need a cool, leafy acid soil in light dappled shade. They are long lived, increasing from bulb division or slowly from seed, but can be slow to establish and will take time before producing of their best. Flowering from early April to the end of May. Large spendid upright white flowers, veined pink at the base above very large slightly mottled green leaves. 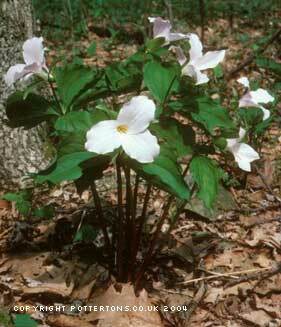 An outstanding and distinct species for acidic, woodland conditions. Limited availability. 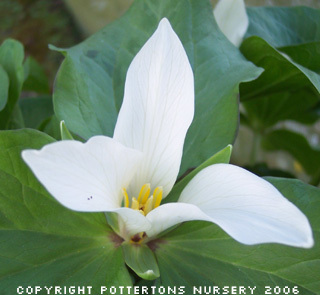 The best known and widely grown species which produces large stunning white flowers on stems to 30cm in April. 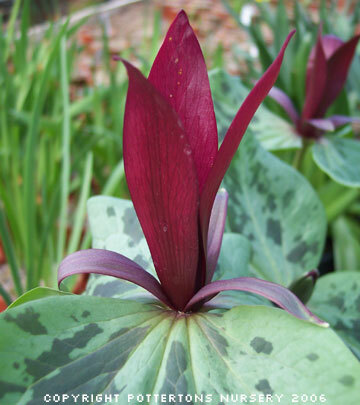 This tall upright, long lived and very robust species has large mottled leaves with upright maroon-red flowers above.